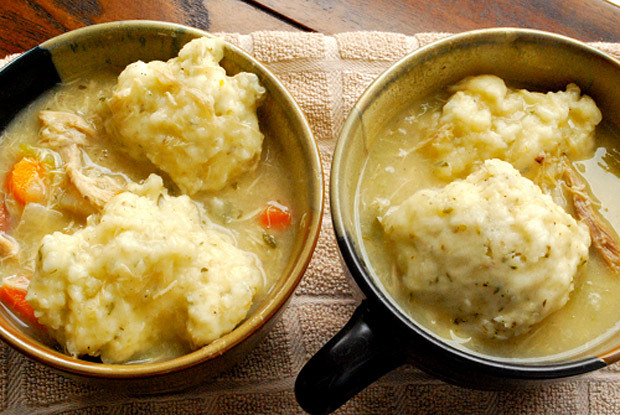 Drop tablespoons of dumpling dough into the simmering pot. Add minced parsley if using. Cover pot halfway and continue to simmer for 15 minutes. Check seasonings; add salt if needed. Allow to sit for 10 minutes before serving.